We are a leading growth equity firm built on the premise that investors should do more than just provide capital. That's why we founded Sunstone Partners. We have over 60 years of collective investment experience working with technology companies. We are excited to meet you and to build something great together. We’re changing the way investors work with growth stage companies. We bring go-to-market best practices to help you grow revenues, reduce customer acquisition costs, and improve retention and upsell performance. We also help you determine which direction to expand your technologies and products, and help identify complementary acquisitions in your space. Recruiting top talent is hard and expensive. We leverage our extensive network to help companies fill key roles ranging from developers to c-level executives. We also make available to you the Sunstone Operating Team, a group of successful founders and CEOs who can serve as trusted advisors to you. We realize most companies we work with don't need cash to fund day-to-day operations. That's why our capital is flexible. We have the ability to provide partial liquidity to you and other founders, or purchase shares from earlier investors to clean up your cap table. We will help you put in place the pieces needed to sell your business at a premium in the market. We have a strong history of transacting with both strategic and financial buyers, and understand what they seek. Let’s work together to create the best outcome for you and your company. The enterprise information technology sector is rapidly moving to a pay-as-you-go, subscription-based technology-enabled services business model. In these models, the technology, software, computing power, storage and/or networking is hosted, managed and accessed by customers through public and private cloud platforms. Organizations have discovered that cloud-based solutions are easier and less expensive to acquire, deploy and maintain, while innovations and improvements by vendors are more rapidly propagated to end users. Sunstone seek investments in innovative and fast-growing healthcare IT companies that offer technology-enabled solutions to help enterprises mitigate costs, improve access, increase efficiencies, manage the shift of financial risk and address the challenges of an aging population. Expanding access through telemedicine, optimizing data to improve medical decisions, and re-engineering payment processes to reduce costs are just a few examples of how successful innovation through technology can improve patient services while lowering costs for payers, providers and consumers. Enterprise customers are more educated and connected than ever before. Widespread access to information empowers them to learn about a company’s products and solutions before engaging with the company and then, when they do, they want to do so from an increasing number of global platforms and disparate devices. This fragmentation of the customer journey across channels and devices requires a new approach by enterprises for engagement with both prospects and customers. There are several forces at work today that make cybersecurity an important area of Enterprise IT focus. The emergence of new technology platforms – including mobile, cloud computing and social networks – is creating new vulnerabilities and potential methods of attack. The security solutions currently available are insufficient to prevent many of these attacks, and new security platforms are required to counter these emerging threats. If the following describes your business, let’s work together. The founding team has over 60 years of successful investing experience, most of which have been together at their prior firm, Trident Capital. Gustavo Alberelli is a Managing Director and co-founder of Sunstone Partners. He currently serves as a Board Director of Answer1, NetSPI, Outmatch, and Userzoom and formerly served as a Board Director of Prolexic Technologies (acquired by Akamai Technologies). Previously, Gus was a Managing Director at Trident Capital and Director at Kennet Partners where he led growth equity investments across the technology sector, typically as the first institutional investor. In 2003, Gus started his investment career at Trinity Ventures where he primarily worked with early stage technology companies. Prior to becoming an investor, Gus held several business development and marketing positions at Saltare, a venture-backed enterprise software company. He began his career as an analyst in the technology investment banking division of Robertson Stephens. Ale Amesquita is focused on Business Development at Sunstone Partners. Prior to joining Sunstone Partners, Ale was on the Business Development team at ProsperWorks, a cloud based, cross-platform CRM that plugs into G Suite. Throughout her time at ProsperWorks, Ale focused on generating new business and strategically growing existing accounts in the SMB space. Before ProsperWorks, Ale worked at NBCUniversal where she helped manage agency and brand relationships in the Broadcast vertical. Ale graduated with a B.A. in Journalism and a B.A. in Public Relations from DePaul University. Ale was born in Lima, Peru and spent her early childhood in Caracas, Venezuela until finally moving to Cincinnati, Ohio. Mike currently serves as a board director of Onica, Progeny Health and NetSPI. Mike is a former board director or observer of AlienVault (acquired by AT&T), Arxan Technologies (acquired by TA Associates), BlueCat (acquired by Madison Dearborn), Fruition Partners (acquired by CSC), Host Analytics (acquired by Vector Capital), Prolexic (acquired by Akamai), Solera Networks (acquired by Blue Coat), Tablus (acquired by EMC) and Voltage Security (acquired by HP). Mike began his investing career in 2001 with a New York based private equity firm specializing in technology and services investments. Earlier in his career, Mike worked in the technology investment banking group at Merrill Lynch. Charlie Culp is an Investment Associate at Sunstone Partners. Prior to joining Sunstone Partners, Charlie was an Investment Banking Analyst at BMO Capital Markets in the Technology and Business Services group. During his time at BMO, Charlie focused on M&A and capital raising for Software, Internet & Digital Media, and Hardware companies. Charlie graduated with a B.S. in Business Administration from U.C. Berkeley’s Haas School of Business. Jennifer Gunn joined Sunstone Partners as CFO in 2018. Jennifer manages Sunstone Partners’ Finance function and back-office processes. Jennifer has over 19 years of experience in corporate and fund accounting and administration in the asset management industry. Prior to Sunstone Partners, Jennifer was Controller of Matthews International Capital Management, a U.S. investment firm focused on multiple investing strategies in Asia. 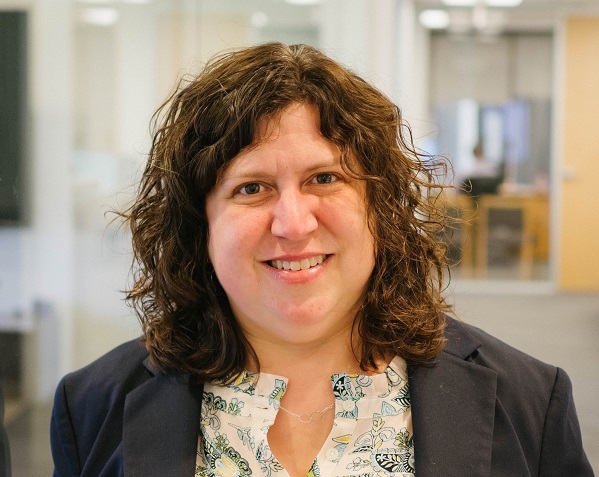 Before that, Jen spent the first 12 years of her career in public accounting with PricewaterhouseCoopers, LLP where she was most recently a Senior Manager and leader in the alternative asset management practice. Originally from northern Indiana, Jennifer received a Bachelor of Business Administration from the University of Notre Dame. Scott Hammack is a multiple time successful technology entrepreneur and CEO. He currently serves as Executive Chairman of Sunstone Partners portfolio company, NetSPI. Previously, Scott was CEO of Prolexic Technologies, a Trident Capital portfolio company sold to Akamai Technologies in 2014 for $415 million. Prior to Prolexic, Scott was Chairman and CEO of Cyberguard Corporation (NASDAQ:CYBG), where he successfully turned around the company from near bankruptcy and then it ultimately was sold to Secure Computing for $295 million. Scott started his career as Founder & CEO of MasterChart, which he started in his basement, bootstrapped, and eventually sold to Allscripts, Inc. for $125 million. Julian Hinderling is a Vice President at Sunstone Partners. Prior to joining Sunstone Partners, Julian was a Principal at Insignia Capital, a consumer and business services private equity firm located in the San Francisco Bay Area, and a Vice President at American Securities, an upper middle-market private equity firm located in New York City. Julian also previously spent time in the Corporate Strategy & Business Development Group at the Walt Disney Company and the Leveraged Finance & Restructuring Investment Banking Group at Credit Suisse. Raised in San Diego, California, Julian earned a B.S. degree with honors from Georgetown University in Finance and Economics. He also received his M.B.A. from the Stanford Graduate School of Business. Prachi Kanabar heads Sunstone’s portfolio operations group that works closely with management teams on initiatives that drive sustained growth and operational excellence. 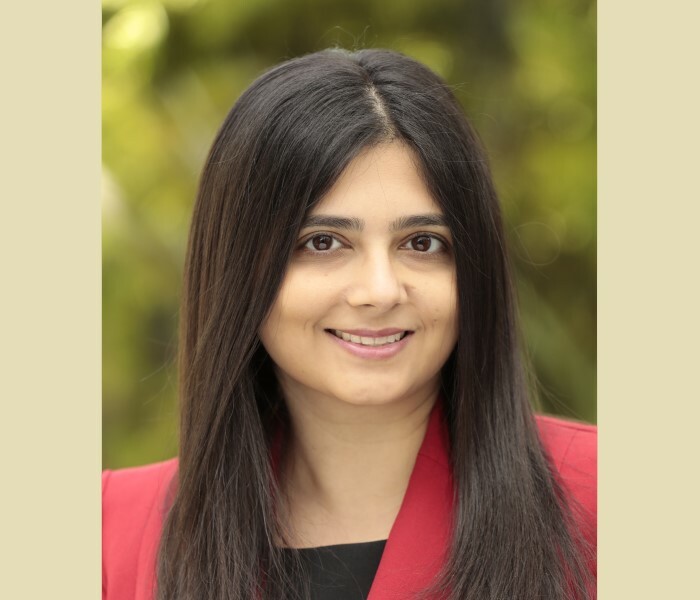 Prachi has over 9 years of experience in private equity portfolio operations driving value creation initiatives and operating plans at portfolio companies in the areas of human capital, sales and marketing, finance and accounting, customer operations, business process improvements, business applications, M&A integrations as well as managing an ecosystem of third party advisors that help drive value across the portfolio. Prior to Sunstone, Prachi held portfolio operations roles at various private equity firms – Vista Equity Partners, K1 Investment Management and Serent Capital. An engineer by education, Prachi earned a B.S in Electronics Engineering from Pune, India and a M.S in Biomedical Engineering from Akron, Ohio. John Moragne is a Managing Director and co-founder of Sunstone Partners. Prior to Sunstone Partners, John co-founded Trident Capital in 1993. He invests in Internet, Healthcare IT and Enterprise Software. In 1995, John became the initial chairman of Mapquest and helped create one of the first global Internet brands. Since then, he has led investments in a number of game-changing Internet companies including HomeAway and Turn. In addition to his deep Internet expertise, John has over 25 years of experience in Healthcare IT. After a brief career as an exploration geologist and obtaining his Stanford MBA, John joined Bain & Co. where he consulted to hospital systems and technology companies. At Trident, he successfully helped build and sell Healthcare IT companies to firms such as United Health and Wellpoint. Immediately prior to founding Trident Capital, John was an investor at Bain Capital and its related fund, Information Partners Capital Fund, at which he invested primarily in technology buyouts and growth investments. John serves as Chairman of the Advisory Board of the School of Earth Sciences at Stanford University and is on the Board of Directors of Climate Central. Raised in New York, he holds a B.A. from Dartmouth College, an M.S. from Stanford University, and an M.B.A. from the Stanford Graduate School of Business. 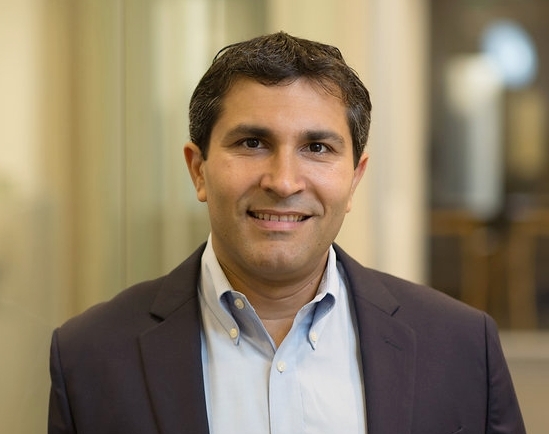 Arneek Multani is a Managing Director and co-founder of Sunstone Partners. Prior to founding Sunstone Partners, Arneek was a Managing Director of Trident Capital, which he joined in 2002. Arneek currently serves as a board director of Imagine Health and Teladoc. He is a board observer at Advanced ICU Care. Arneek is a former director or board observer of Acclaris (acquired by Towers Watson), ArroHealth (acquired by CIOX Health), Datatel (acquired by Hellman & Friedman), HealthMEDX (acquired by Netsmart Technologies), Profex (acquired by a multi-national pharma company) and Resolution Health (acquired by WellPoint). 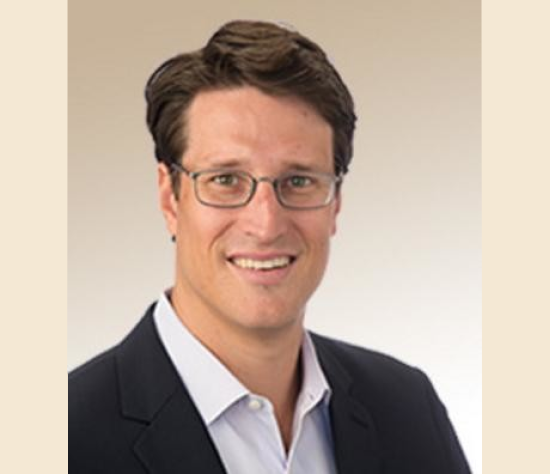 Prior to joining Trident, Arneek was an Associate at McCown De Leeuw, a private equity firm specializing in leveraged buyouts, where he focused on investing in the health and fitness industries. Arneek started his career as an analyst at Morgan Stanley & Co in the Media & Telecommunications group of the Mergers & Acquisitions department. Raised outside of Philadelphia, Arneek earned a B.S. in Economics from the Wharton School of Business and a B.A.S. in Systems Engineering from the Moore School of Engineering at the University of Pennsylvania. He also holds an M.B.A from the Stanford Graduate School of Business. Ankur Rathi is a Vice President at Sunstone Partners. 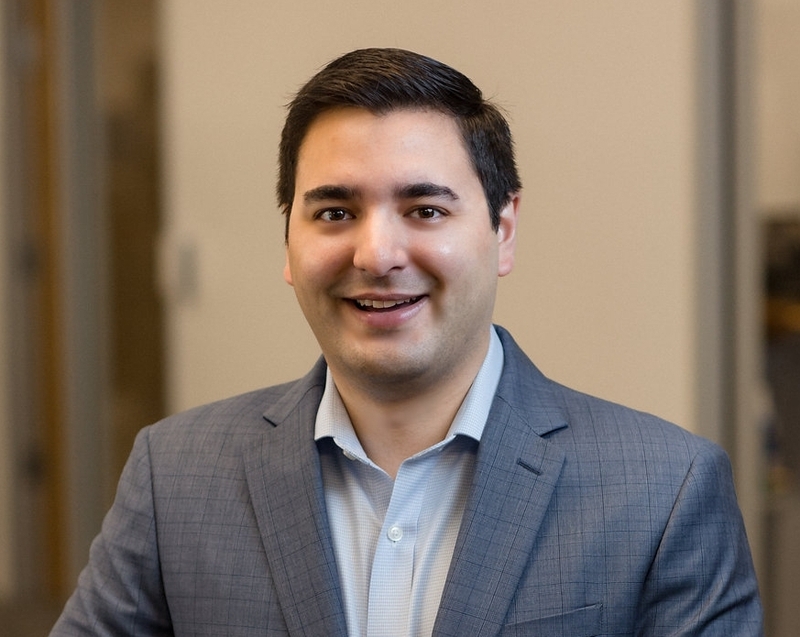 Prior to joining Sunstone Partners, Ankur was an Associate at Riverside Partners, a technology and healthcare focused private equity firm in Boston. Before Riverside, Ankur was an Associate at Allstate Investments, focused on global investing as a limited partner in private equity firms. Ankur began his career as an Investment Banking Analyst at BMO Capital Markets in the Mergers & Acquisitions group. Raised outside of Chicago, Ankur earned B.S. degrees with High Honors in Accountancy and in Finance from the University of Illinois at Urbana-Champaign. He also received his M.B.A. with Honors from the Wharton School at the University of Pennsylvania. John Reardon heads Sunstone Partners' Portfolio Operations team. John has more than 30 years of experience in the healthcare industry and technology sector. He has been a successful entrepreneur, software company CEO, hospital system executive, private equity firm operating partner and investor. Prior to joining Trident Capital in 2008, John was the CEO of CliniComp Intl., a hospital EMR company. Earlier in his career, John’s wide ranging industry roles included Regional VP of Strategic Planning and Corporate Development for St. Joseph Health System and co-founder of two other Healthcare IT companies. John has also been an Operating Partner at JP Morgan Partners, where he helped turn around eight troubled portfolio company investments while serving as President, CEO or Board member. Jeff Rich was CEO of Affiliated Computer Services (ACS), a Fortune 500 company and leading provider of business process outsourcing and IT services, from 1999 to 2005. During his tenure, Jeff grew ACS from $300m in annual revenues to $5.3b in annual revenues, through organic growth and 70+ acquisitions. Prior to joining ACS, Jeff was a Vice President in the Leveraged Capital Group of Citibank New York. Jeff was a member of the Board of Directors of Trident portfolio company Fruition Partners, which was sold to CSC in 2015. He is a member of the Board of Directors of Trident portfolio company Fruition Partners. He is also a member of the Board of Directors of Telligent, Inc. and on the Executive Board of the Dallas Symphony Orchestra. Gabriel Shaukat is a Vice President at Sunstone Partners. 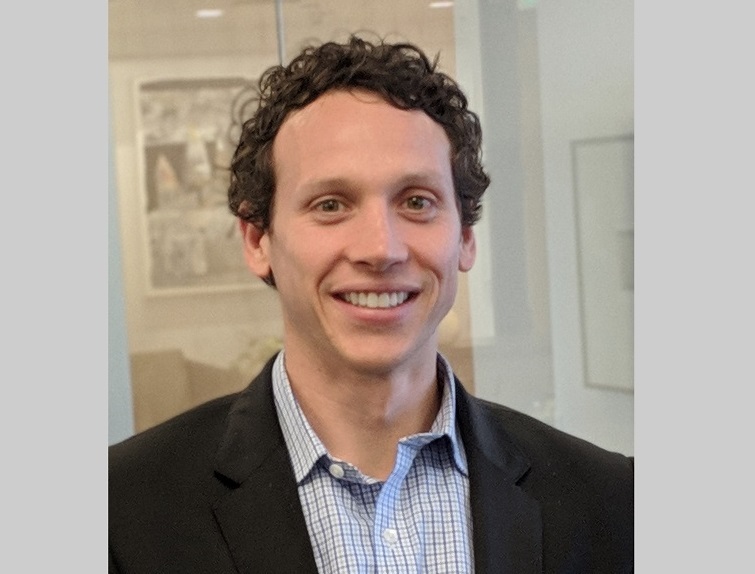 Prior to joining Sunstone Partners, Gabe was an Associate at Primus Capital, a healthcare and technology focused private equity firm in Cleveland. Before Primus, Gabe worked as an Investment Banking Analyst at SunTrust Robinson Humphrey in the Consumer and Retail group. Raised in Columbus, Georgia, Gabe earned a B.B.A. degree in Finance with Highest Honors from the University of Georgia. He also received his M.B.A. with Honors from the University of Chicago Booth School of Business. Franklin Shieh is an Investment Associate at Sunstone Partners. Prior to joining Sunstone Partners, Franklin was an Investment Banking Analyst at Barclays in the Global Technology group. During his time at Barclays, Franklin focused on M&A and capital raising for Software, Internet & Digital Media, and Electronics companies. Franklin graduated with a B.S. in Business Administration from the University of Southern California’s Marshall School of Business. Andrew Smith is an Investment Associate at Sunstone Partners. Prior to joining Sunstone Partners, Andrew was an Investment Banking Analyst at Deloitte Corporate Finance, where he worked on M&A and capital raise transactions across multiple industries. Andrew graduated with a B.S. in Economics from Duke University. Cynthia Snow supports Gus Alberelli, Michael Biggee and John Reardon, as well as HR support, Marketing, Finance and Operations. She has been with Sunstone for 5 wonderful years and comes from a varied technical and shared services background. Cynthia has a B.A from UC Santa Cruz (go Slugs!) in Psychology. She is a two-time Tough Mudder, loves to run Half Marathons, travel and cook. Matt Weinstein is the Controller at Sunstone Partners. Matt has over 12 years of experience in fund accounting and operations in the alternative asset management industry. Previously, he operated as CFO of Cascade Ridge Capital, a small San Francisco-based credit hedge fund, and prior to that, as Controller of Nokota Management, a $2.0 billion L/S hedge fund located in New York City. Matt also began his career as an audit associate in the financial services practice at Rothstein Kass. A native of Pittsburgh, Pennsylvania, Matt earned a B.S. and M.S. in Accountancy from Villanova University. He received his M.B.A. from Columbia Business School and is a licensed CPA (inactive). Howard Zeprun has been with Sunstone Partners since inception. He brings to Sunstone Partners and its portfolio companies a deep well of transactional experience and legal knowledge together with business perspective, creative thinking and a solutions orientation. Howard also continues to serve as COO and General Counsel at Trident Capital, which he joined in 2002. Prior to Trident Capital, Howard was a partner at the law firm, Wilson Sonsini Goodrich & Rosati. He also spent several years as chief corporate counsel at Apple Computer. Our portfolio is a group of driven, exceptional companies that come together to exchange ideas and best practices. Come join our community. Sunstone Partners is an investment fund focused on growth equity investments and majority buyouts in technology businesses in North America. The team previously worked together at Trident Capital, a multi-stage investment firm with seven funds and $1.9 billion under management since 1993. The firm is currently investing out of Sunstone Partners I, LP, a fund with $310 million of committed capital. Sunstone Partners invests in both sizable minority positions and control transactions. Sunstone Partners was founded in 2015 and is headquartered in San Mateo, CA. It was previously known as TC Growth Partners.